Tonight we splurged on Halibut. I say splurged because for a pound it cost $28, compared to say Salmon which for a pound averages $6. But we figured if we went out to eat a meal would cost just as much or more. For this recipe a simple cod or tilapia would work fine. 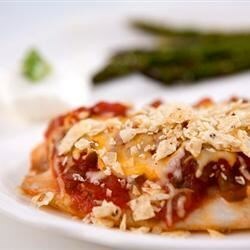 This might just be our favorite fish recipe yet as it was delicious! 1. Preheat oven to 400 degrees F (200 degrees C). Lightly grease one 8x12 inch baking dish or use non stick aluminum foil. 2. Rinse fish fillets under cold water, and pat dry with paper towels. Lay fillets side by side in the prepared baking dish. Pour the salsa over the top, and sprinkle evenly with the shredded cheese. Top with the crushed corn chips. 3. Bake, uncovered, in the preheated oven for 15 minutes, or until fish is opaque and flakes with a fork. Serve topped with sliced avocado and sour cream.